I feel a sudden urge to visit Scotland. 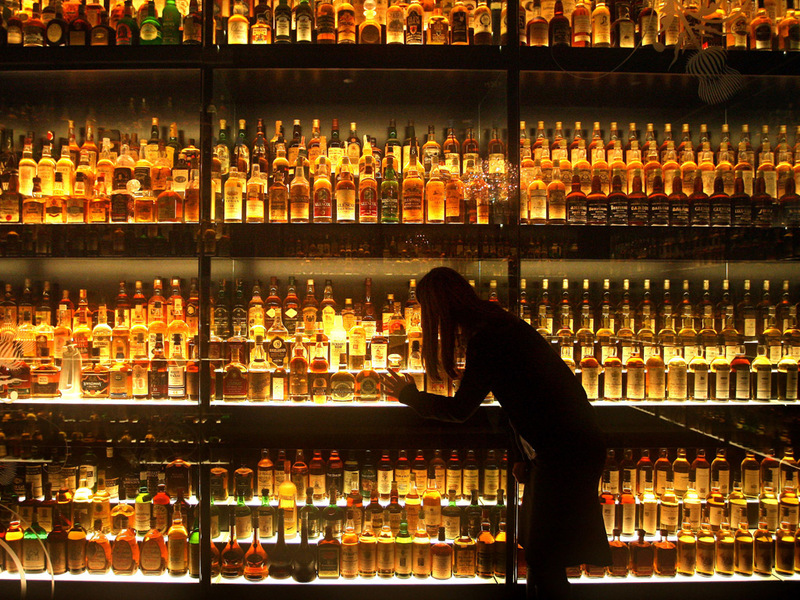 The world’s largest collection of whiskies has arrived in Edinburgh this week, featuring 3,384 bottles, the record-breaking collection was built up over 35 years by Brazilian whisky enthusiast Claive Vidiz. Mr Vidiz has scoured the world for whiskies to create the collection, which has been bought by Diageo. The whisky manufacturer will be loaning the collection to the Scotch Whisky Experience on the Royal Mile next year. The bottles are currently being stored in a high security location in Scotland, after being shipped 6,500 miles from Sao Paulo on board a container ship. A specially designed vault is being created at the Scotch Whisky Experience to display the collection.